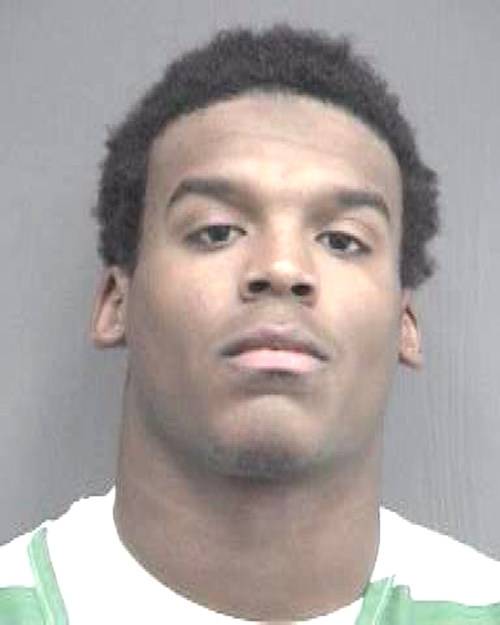 Auburn University Heisman Trophy-winning quarterback Cam Newton was arrested by Florida cops in November 2009 and charged with grand theft, burglary, and obstructing justice in connection with the boosting of another student’s Dell laptop. The first overall pick of the Carolina Panthers in the 2011 NFL draft, Newton--who finished his college career at Auburn--was enrolled at the University of Florida at the time. He eventually admitted to being in possession of the hot computer and was placed into a pre-trial intervention program that ended with all charges against him being dropped.